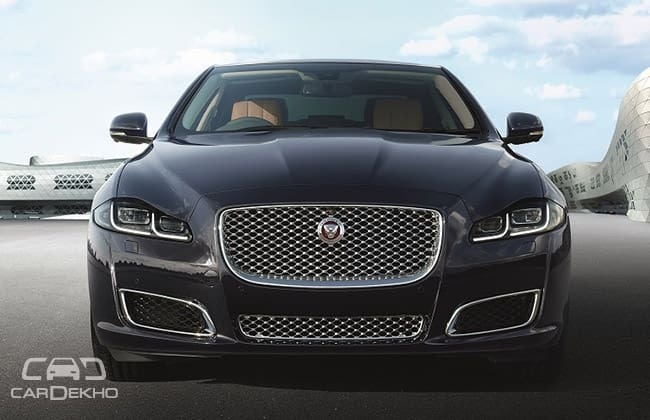 British luxury car manufacturer Jaguar, has launched the updated version of its flagship sedan the XJ at INR 98.03 lacs (Ex-showroom, Mumbai). The changes include minor nips and tucks on the front and rear, however, new all LED exteriors lighting have been introduced along with the latest DRL setup for the headlamps. This epitome of luxury will compete against the likes of BMW 7-series, Audi A8 and the Mercedes-Benz S-Class. Both these motors have commendable acceleration and performance. The XJ with the petrol motor manages 7.9 seconds for the 0-100 kmph sprint, whereas the diesel version takes 6.2 seconds for the same job. The car carries the same finesse of the old XJ and the front grille placement along with the DRLs makes it all the more appealing. The exterior has a unique teardrop shape which helps in improving the aerodynamic characteristics of the car. On the inside, the changes include a re-calibrated and redesigned multi layered virtual display. The instrument cluster is a fully digital with a 20.32 cm touchscreen display to offer an advanced driving experience. The aural experience is taken care of by the Meridian music system.